I was at a transition point in my business when I came to Greg. I had been working part-time in my business for 12 months and part-time for someone else’s business for 2 years. I made the decision to go all-in and work full time in my business. I had a small client base and was looking to fill my client roster so that I could create a financially viable business that sustained my lifestyle without having to work for someone else. I wanted a system to generate clients to provide me with the freedom and lifestyle I crave. After my conversation with Greg, I hesitated at the large financial investment. I wasn't sure if I'd be able to find the money and if my investment would actually be worth it. I didn't know if I'd be able to fill my client roster. But as soon as I signed up, I felt excited that I'd made a commitment to do this. I felt motivated to get all that I could out of the program and to do the work to see a return on investment. I was pumped that I was doing something for my business and investing in growing it. After our first one or two sessions, I felt reassured that I'd made the right decision. The group had a great energy and I was already getting a lot out of Greg's coaching. He was completely genuine as a coach with a powerful coaching style and I knew I'd learn a lot and grow throughout the program. I loved Greg's coaching style. It was very powerful and effective. He asked really great questions that got to the root of the issue. He called me out on any unhelpful stories/excuses I was using and he kept me accountable to specific actions. He also used silence powerfully to elicit the truth. Greg ran the group like a true leader. I always felt as though we were in great hands and the content he delivered was well prepared and structured - I always felt like I was learning a great deal. Greg is super genuine and authentic, so I always knew I was getting the truth with him. The most important thing that people should know about working with Greg is that he gets to the heart of the issue quickly. He makes sure that you are addressing what really needs to be addressed and aren't wasting time on things that aren't really going to move your business or your life forward. He gives fantastic guidance, direction, encouragement and accountability. I loved the way this program was run as an intensive 8-week program. I liked the 2x/week structure and the training call followed by coaching call. Really liked the way he included a surprise 1:1 session in week 6. All of it was impactful. There’s nothing I would have done differently. I have signed 2 new clients and made $1,600 since I started working with Greg. I have had 10 enrollment calls, with more to come. I've gained clarity on my marketing insight and brand positioning and am ready to start creating content around this. I've put myself out there a lot more on social media and had more interest in my work. I was approached to be profiled in a online magazine article on digital nomads - which I did. I've learnt so much from Greg on how to be a phenomenal coach. I've learnt a lot about how to run a group program by watching his incredible example. I've really started cultivating the high intention, low attachment mindset which I think is key to not only the success of my business, but useful in all areas of my life. I've learnt how to market myself in effective ways and how to have a really powerful enrollment conversation. I've been inspired by the refreshing take Greg has on sales and I can't wait to master sales like he has. I've got clear on my marketing insight, brand positioning and I've also felt re-assured that I can say YES to other opportunities that sit outside of my niche. I would definitely recommend working with Greg. He really helps coaches move forward in their business and create momentum. 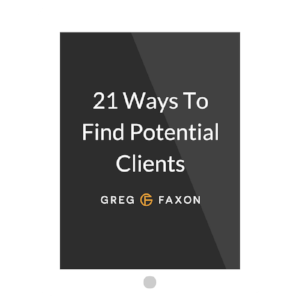 He really cares about his clients and wants them to succeed. Greg has a fantastic blend of super practical tips and tools that you can use as well as the deeper work around mindset and the inner game that really helps you break through. I will recommend him to any service provider I know who is looking to grow their business and get more clients. "Forgot to tell you the great news that this month I've signed 2 more clients - they were from the original enrollment conversations back in October and I've been quietly checking in on these women since our call. Anyway they have both signed up - one for 3 months and one for 6 months. So if you want to update my testimonial at all, I've now earned $3850 (not long until I've made back the investment) and have 4 new clients :)"
You can learn more about Samantha at samanthalthomas.com.